This week we'll be speaking with Wren and Stix as they recall some of their previous work opening abandoned buildings for squatters in the San Francisco bay area. Join us for our annual Dirty Scouts Jamboree! This even takes place every November in the infamous squatter town in the desert, Slab City! 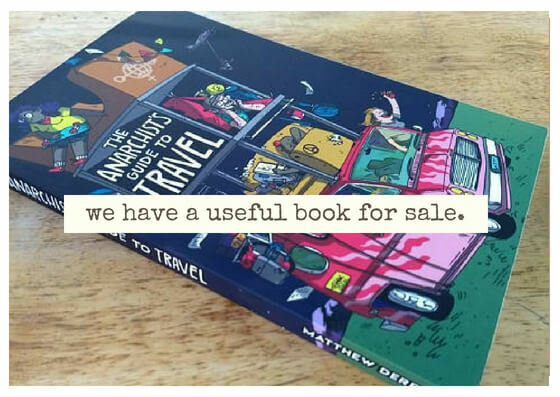 Meet and learn from other travelers while partying in an anarchist library where you can take and donate books as you please! Best of all, it's free!